Hurricane Katrina and other natural disasters leave not only physical damage but also psychological effects on people with and without mental illnesses such as PTSD. Learn the emotional havoc natural catastrophes wreak on survivors and how they can get help for their mental distress. Although the hurricane had a negative impact on residents throughout Louisiana and Mississippi, people with a pre-existing psychiatric disorder were likely at greater risk of emotional harm after the hurricane. A study by two researchers at the University of Mississippi Medical Center examined the hurricane's effect on survivors with mental illnesses. They surveyed approximately 80 patients at an outpatient clinic in Jackson, Miss., before and after the hurricane. Most of the patients were suffering from depression or some kind of anxiety disorder, including PTSD. They asked people about their experiences during Hurricane Katrina, such as the amount of time they watched television coverage of the hurricane, and collected information on their depression and PTSD symptoms. The researchers found that many people experienced hardships as a result of Hurricane Katrina. Approximately 40 percent were without electricity for six days or more. Just over 40 percent had some kind of damage to their home. Approximately 10 percent were without water for six days or more. In addition, they found that many people watched coverage of the hurricane on television. Almost 60 percent of people surveyed watched four or more hours of television coverage of the hurricane. Interestingly, they also found that people's depression was connected to the amount of television coverage they watched of the looting that took place in New Orleans. The severity of people's PTSD symptoms following the hurricane, on the other hand, was connected to the amount of television coverage they watched of the damage, the looting of New Orleans, rescue efforts, evacuation efforts and the Superdome and the Convention Center in New Orleans. People fared better in terms of PTSD symptoms if they watched less television coverage overall, especially of the looting. They also benefitted from using prayer as a way of coping with the stress of the hurricane. 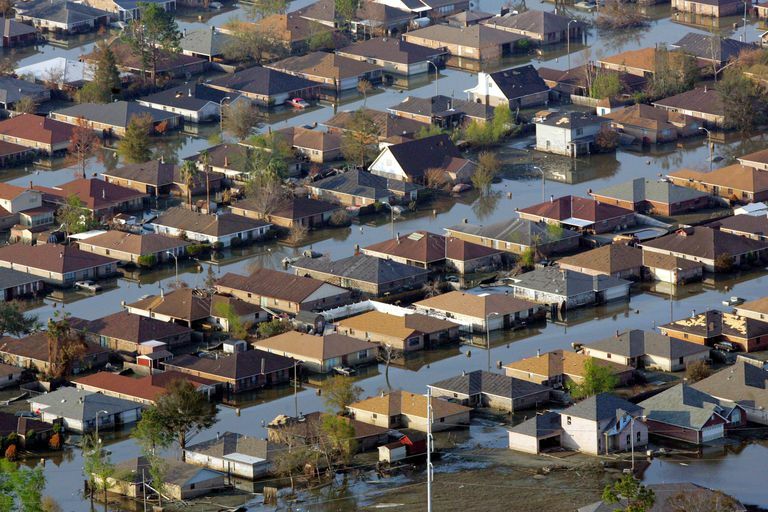 A natural disaster, such as Hurricane Katrina, can have a major impact on a person's life. Following a traumatic event such as this, it is normal to want to seek out as much information as you can, and watching television may be one way to do this. However, as this study and other studies on the effects of disasters show, extensive viewing of television coverage of traumatic events may put people at risk for depression and PTSD. Therefore, it may be important to keep an eye on what you and your family are watching after a stressful event occurs. If you are coping with the effects of a natural disaster, help is available. The National Center for PTSD provides a number of fact sheets on the effects of natural disasters and how to cope with them. You can also find treatment providers in your area through UCompare HealthCare and the Anxiety Disorder Association of America.